Arkansas is replete with a moderate climate, lush terrain, mountains, and lakes and rivers required for a vacation in the Great Outdoors. Arkansas is also an affordable destination, with thousands of free events offered throughout the year, including festivals, art exhibitions, and craft fairs in Eureka Springs, Fayetteville and Hot Springs. From concerts in Little Rock, art walks and galleries in the evening to mouthwatering local cuisine and historic buildings, Arkansas has plenty of activities for culture, history, and nature lovers alike. 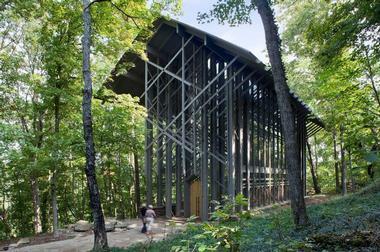 A 48-foot-high wooden chapel that features not only 425 windows but over 6,000 square feet of glass, Rush Thorncrown Chapel is a simply designed structure in a beautiful woodland setting. The chapel has been visited by over six million people since it opened in 1980, and has been the darling of the architectural world, winning numerous prestigious awards. Tour groups can take in a brief presentation about the chapel before exploring both it and its surroundings. The chapel is available for rent for ceremonies and offers unparalleled acoustics in which to hear music on the special day. 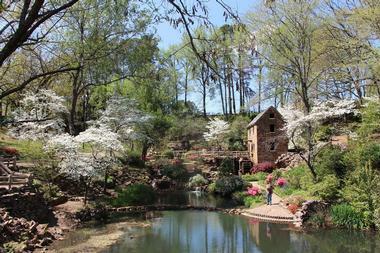 Functioning as the botanical gardens for the University of Arkansas, Garvan Woodland Gardens allows visitors to sample the flora and fauna of the Ouachita Mountains in southwest Arkansas. Located across 4.5 miles of wooded shoreline, the mission of the gardens is to preserve and protect the mountains’ natural environment while providing natural resources that promote learning, research, and culture. Reservations for groups of 20 or more are required by booking 2 weeks in advance. Visitors can also take a self-guided tour through the gardens’ 210 acres, while groups of 10 or more can partake in docent-guided tours. The recommended time to tour the gardens is a minimum of 2.5 hours. 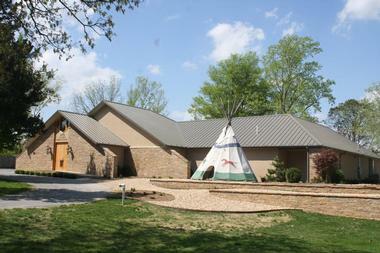 The Museum of Native History tells the history of America’s First Peoples. The museum contains sections devoted the Paleo, Archaic, Woodland, Mississippian, Pre-Historic and Columbian time periods. With artifacts dating back to more than 14,000 years ago, the museum’s displays include cultural items from its permanent collection, such as tools, weapons, household objects, and arts and crafts, in order to recount Native American history through the millennia. This collection provides a unique opportunity to learn about the existence of America’s First Peoples on the continent long before explorers from the Old World landed on American shores. Nestled in the Ozarks, TCWR’s 459 acres is home to big cats including tigers, lions, ligers, leopards, cougars, servals, and bobcats as well as bears and four other animal species. Visits begin in the Welcome Center, where visitors learn about TCWR’s mission before embarking on a ½-mile guided walking tour. 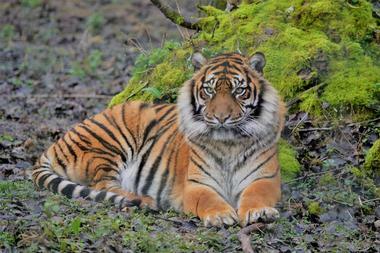 Tours start at 10:00am daily and run on the hour until one hour before the animals’ feeding time. Tours are guided by a biologist or zoologist intern who discusses each animal while visitors get to view the animal within its natural habitat. Twenty-minute Keeper Talks occur on weekends, and permit Q&As with facility staff. 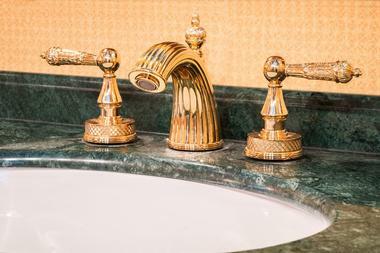 Replete with marble and stained glass, visitors can revel in the opulence that made Fordyce Bathhouse the top bathhouse in the region. In operation as a bathhouse from 1915 to 1962, Fordyce began its new function as the visitor center for Hot Springs National Park in 1989. Watch a 9-minute movie about the bathhouse during its operation, take a self-guided tour of the dressing rooms, men’s massage room, music room, state room, the original elevator, bowling alley, and so on that make up the bathhouse, and peruse the bookstore’s offerings on the history of bathhouses and the national park. 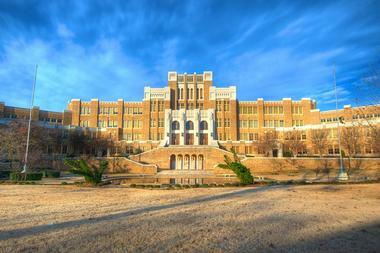 Little Rock Central High School was the location of a pivotal moment in the desegregation of American public schools. In 1957, nine African-American students persisted in attending an all-white high school despite being the target of ridicule and hatred. The controversial nature of the nine students’ attendance displayed the entrenched Southern defiance against desegregation. The students were dubbed the Little Rock Nine, while the controversy was termed the Little Rock Crisis. This seminal event is the recounted in guided 1-hour tours, which are available by appointment at 9:00am and 1:00pm on weekdays during the school year. Completed in 1933, the Old Mill is a replica of an abandoned 1880s hydro-powered grist mill located in T.R. Pugh Memorial Park. This bit of American history, which is a National Register of Historic Places site, has been featured in Hollywood movies, including the classic Gone with the Wind, and contains sculptures by Mexican-born naturalistic artist Dionicio Rodriguez. Rodriguez also worked on the details that makes each piece of concrete represent wood, iron or stone. 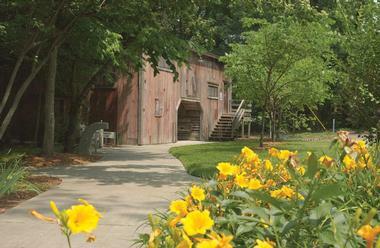 The mill contains many historical artifacts, including the grist mill itself. Thirty-minute guided tours are available for groups of 10 or more on a reservation basis. 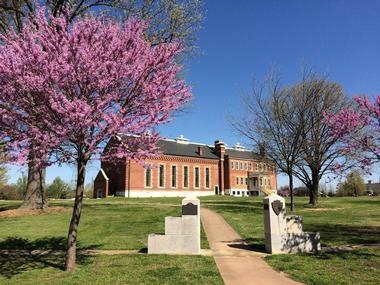 Fort Smith National Historic Site contains exhibits that covers the fort’s history from its establishment in 1817 to 1896, when its jurisdiction over the territory ended. The exhibits speak of a life on the edge of the territory from the perspective of soldiers and lawman, as well as from the Cherokee perspective of the Trail of Tears. The site contains jails, the judge’s courtroom, a storehouse, barracks, gallows, and a book store. Exhibits focus on deputy marshals, the military, outlaws, and the Trail of Tears. Visitors can participate in programming led by rangers, including a walking tour of the building and grounds. Children can obtain junior ranger badges using educational workbooks. TheatreSquared entertains approximately 40,000 guests annually and is the only professional theater in Northwest Arkansas offering 220 productions throughout the year. Located in a 175-seat space at Walton Arts Center’s Nadine Baum Studios, TheatreSquared patrons include students through school programming in order to allow youth exposure to arts-based learning. 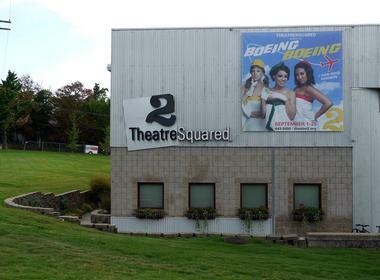 TheatreSquared was recognized in 2011 as a top ten emerging American theatre group. Home to professional playwrights, TheatreSquared produces newly developed scripts that are performed in world premieres by the troupe as well as at the Arkansas New Play Festival. Due to its dedication to making professional theater available to all, TheatreSquared operates access programs to provide tickets for as little as $5 each at every performance. 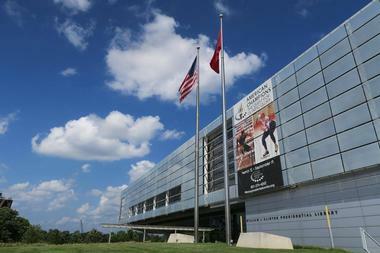 The William J. Clinton Library and Museum is the presidential library of 42nd president Bill Clinton. Located in Little Rock on 17 acres beside the Arkansas river, the 68,698-square-foot library and its archives are currently the largest of the 13 presidential libraries. The museum includes artifacts from Clinton’s time in office, such as his Cadillac One and saxophone, as well as to-scale replicas of his Oval Office and Cabinet Room. An eight-panel timeline in the main gallery covers his presidency, along with displaying state gifts and other items, while 14 alcoves focus on specific events. The museum also houses an orientation theater. The archives contain several million photographs, documents, and emails as well as additional artifacts. 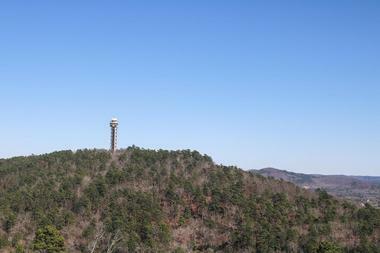 Hot Springs Mountain Tower is a 216-foot-high observation tower on High Springs Mountain. Constructed from lattice steel, the structure is the third built on the mountain and was opened to the public in 1983. 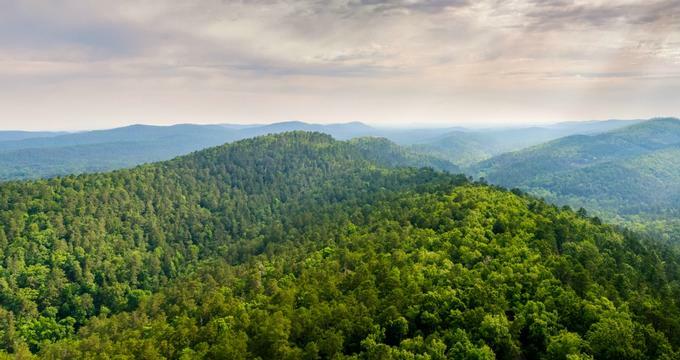 Visitors can take in a panoramic 140-mile view of Hot Springs National Park, the Ouachita Mountains, the Diamond Lake region, and other natural landmarks. A gift shop is located at ground level, as is a grab-and-go food area where visitors can buy snacks and sandwiches. The tower is open all year round starting at 9:00am; closing time varies from 5:00pm during the November to February off-season, to between 6:30pm and 9:00pm March through November. The Old State House Museum is housed in the Old State House of Arkansas and commemorates the house’s history, including its role as the location of such historic events as Arkansas being admitted to the Union and its joining Confederation. The Old State House remained in operation as a government building until 1911, when construction on the current State House was completed. Visitors can view the museum’s permanent and circulating exhibits either through a self-guided tour assisted with a tour map or cell phone guide or through an hourly guided tour. Hourly tours are offered on the hour during museum hours and last 50 minutes. The President William Jefferson Clinton Birthplace Home is a National Historic Site dedicated to conserving the birthplace of America’s 42nd president. The home is where William Jefferson Blythe III spent the first four years of his life with his mother and maternal grandparents. Clinton continued to visit his grandparents at the home until 1956, when his grandfather passed, and attests to the many life lessons that he learned while living in the home. The visitors center presents exhibits about the president’s early life, including photos and videos, and guided tours are available. 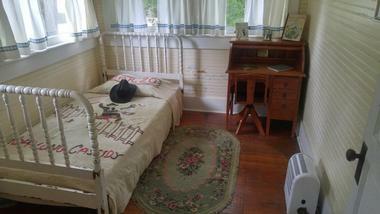 The Clinton House Museum is dedicated to preserving an early period in 42nd President Bill Clinton’s career. A one-bedroom, 1,800-square-foot house nestled in the Ozark Mountains, this was the first home shared by Bill Clinton and Hillary Rodham. Clinton and Rodham got married in the house’s living room, and the museum contains memorabilia from Clinton’s early campaigns, including some of his first political speeches and television ads as well as personal items such as Rodham’s wedding dress. A timeline of the couple’s time in Fayetteville provides additional context. The house is available for private events, including meetings and weddings, and tours are available. Closed on Wednesdays. 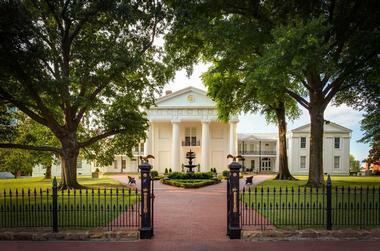 The Arkansas Governor’s Mansion is located on 8.5 acres in the historic quarter of Little Rock. The mansion has been the location of First Family celebrations and dinners since January 10, 1950. Forty-five governors have lived in the mansion, and every aspect of the mansion and its grounds speak of their time here. Mansion tours are available by reservation. Tours allow visitors to view the mansion’s formal living room, state dining room, library, grand foyer, atrium, lower atrium, and grand hall and admire the artwork and furnishings on display, such as customized china with the state seal. Magic Springs Water and Theme Park has been rated one of the top three family amusement parks by Better Homes and Housekeeping. The amusement park has five roller coasters, five thrill rides, four family rides, and eight children’s rides. The water park area (Crystal Falls) includes a children’s area and splash zone, four thrill rides including boogie boarding and slides as well as eight family attractions. Cabana rentals are available at additional cost. The Timberwood Amphitheater is home to concerts every Saturday during the season, and the park hosts annual events throughout the year. 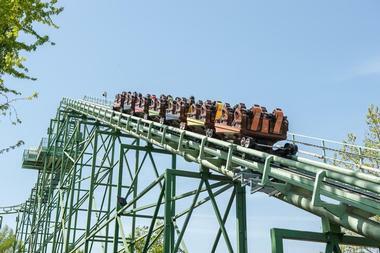 The park opens weekends from April through October and daily from late May through mid-August. 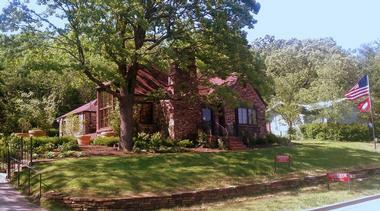 South Arkansas Arboretum is a 12-acre site featuring native and rare West Gulf Coastal Plain flora and fauna. 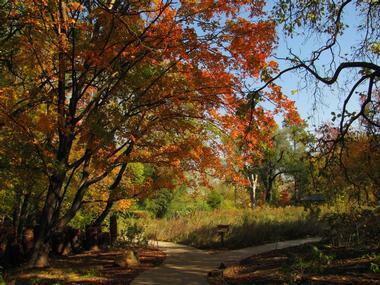 The arboretum is dedicated to preserving the region’s natural beauty for educational purposes, and the site serves that purpose for students of all age groups as well as the public. The arboretum includes an active use area that is popular with walkers and joggers, a transitional zone where the natural area with ponds and a creek begin, and a butterfly garden that is in bloom from May through August. The arboretum has paved walking trails with signage, as well as restrooms and parking. A pavilion and gazebo are available for rent, and the arboretum can be scheduled for private events. The Hampson Museum features exhibits that interpret the farming lifestyle of the upper Nodena site, a 15-acre village that existed between 1400 and 1650 AD. The museum’s collection is the result of the excavation and preservation of the Nodena site by James K. Hampson and his family. The collection of archeological artifacts is nationally renowned and gives a glimpse into this Late Mississippian civilization, including its religion, trading network, and art and crafts. Half-hour guided tours are available at 10:00am and 2:00pm, although drop-ins are typically accommodated. The museum also hosts special programming and operates a gift shop. 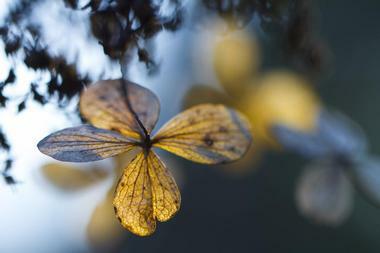 Compton Gardens is a 6.5-acre woodland garden that includes native flora and fauna. 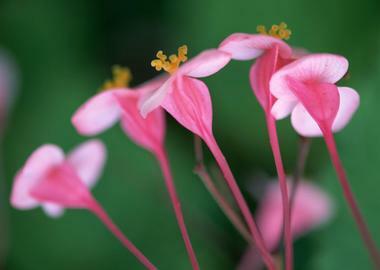 The gardens are located at the home of Dr. Neil Campton, who was devoted to protecting the region’s biodiversity. 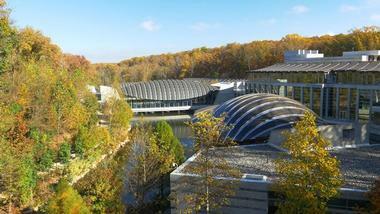 The gardens’ ½-mile system of trails are meant to operate as a free green space and function as an access point to the Crystal Bridges Trail. Each plant in the gardens is carefully marked for educational purposes and the collection includes two Arkansas Champion trees. The gardens also operate as a private and non-profit event venue and hosts several events throughout the year. Open daily from dawn to dusk. 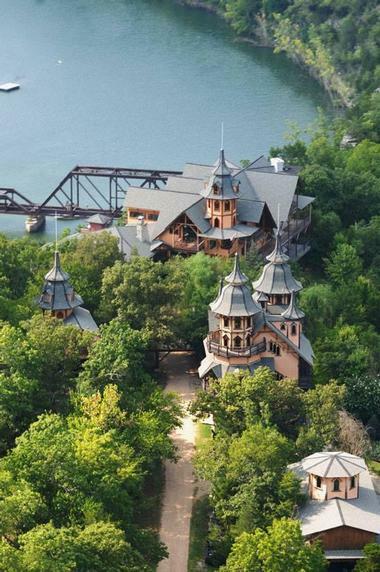 Castle Rogue's Manor is perched over Tablerock Lake and covers 20 acres in the Ozark forest. Along with enjoying its panoramic views, visitors can participate in a private guided tour of the manor (by appointment only). As an example of the craftsmanship and majesty that define the manor, the medieval fireplace was constructed from 7,000 pounds of stone and includes bronze fire-breathing dragons. 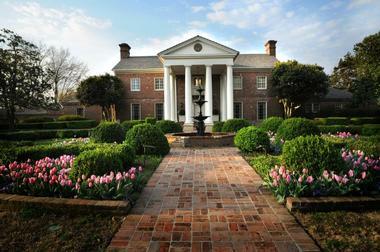 After being featured on HGTV’s Home Strange Home in 2007, the manor has operated primarily as a premiere event and wedding venue. Event packages include indoor seating and catering for up to 120 guests, exquisite place settings (china, glassware, and silverware), and a dedicated entertainment stage. 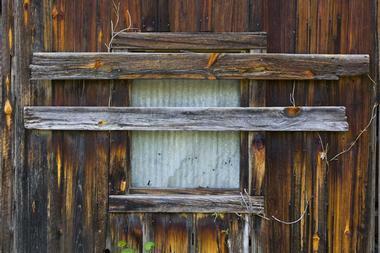 The Rush Historic District preserves a 1,300-acre zinc mining town that operated from the mid-1880s to the mid-1930s. Entered onto the National Register of Historic Places in 1987, Rush is deemed significant to the history of mining in the region. The district is referred to as a Gold Rush ghost town and includes (steep) hiking trails with educational exhibits and signage. Viewing the site by driving is also an option. While entry to the district’s three mines is strictly prohibited, visitors can peruse the Taylor-Medley Store, livery barn site, smelter, blacksmith shop, mine level, processing mill, tailings, Hicks store, Boiling Springs, New Town, 1960s mining exhibit, and Ore Wagon Road. The Arkansas Air Museum features static exhibits of aviation artifacts and memorabilia in an authentic 1943 aircraft hangar. The museum features two aircraft that are still in operation as well as vintage aircraft like pre-World War II racing planes. 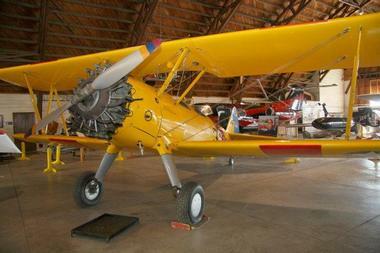 Other notable items in the collection include 15 military vehicles, twelve static aircraft. and relics like a Civil War tent stove, home front WWII items, and German WWII weapons. Certain aircraft in the museum are the only existing American plane of a given model, while others are replicas of famous pieces. Cutaway engine displays allow visitors to see the aircraft’s inner workings. The Hemingway-Pfeiffer Museum and Educational Center is a converted barn that served as a studio for Ernest Hemingway at the family home of his second wife, Pauline Pfeiffer. The studio was where Hemingway wrote several short stories and parts of A Farewell to Arms. 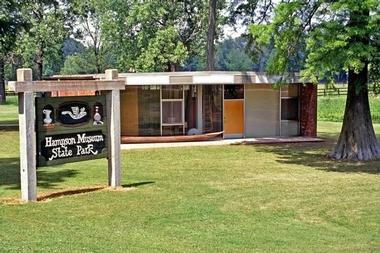 The museum and educational center focuses on educating the world about Arkansas life in the 1920s and 1930s, including literature, world events, family relationships, and the New Deal era development of Northeast Arkansas. 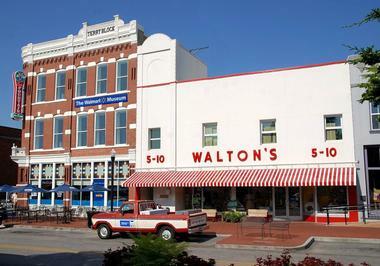 The museum operates a museum store, which sells articles related to Hemingway and Arkansas during the 1920s and 1930s.